The LC500h is a hybrid version of the recently announced LC 500 and will be released later this year as a 2017 model-year vehicle. The LC500h is based off the LF-LC concept that was first released back in 2012. 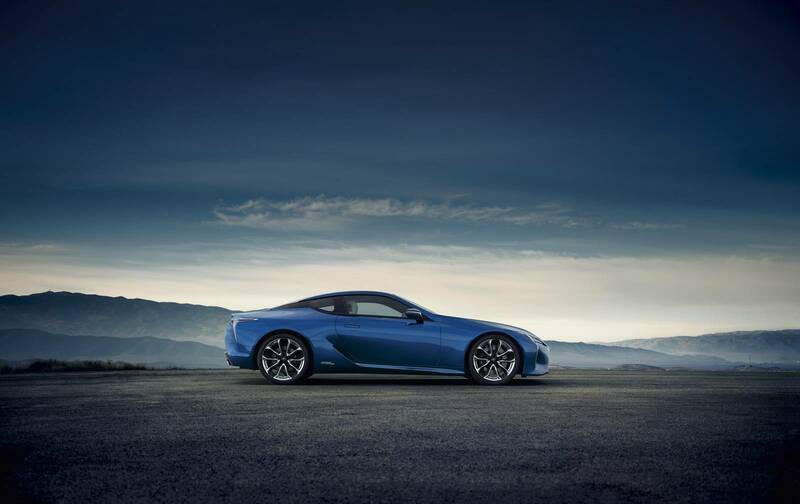 According to Lexus, the new LC line-up represents a shift in Lexus’ engineering processes and design direction. The introduction of the flagship line-up of LC vehicles will mark the beginning of a new phase of the Lexus brand moving forward. Powering the LC500h will be the world’s first Multi Stage Hybrid system that was designed by Lexus specifically for use in performance vehicles. The LC500h will include a traditional gasoline-powered 3.5 litre V6 engine as well as an electric motor and lithium-ion battery pack. All of this will be controlled by a 4-speed automatic gearbox that is mounted at the rear of the hybrid transmission. Lexus claims that this new Multi Stage hybrid system in conjunction with the traditional V6 engine will propel the LC500h to 100 km/h in under 5 seconds. An exact acceleration figure was not given. In terms of exterior and interior styling the LC500h remains extremely similar to what we have already seen in the recently announced LC 500. The traditional, non-hybrid version of the LC model range will be powered by a V8 engine. 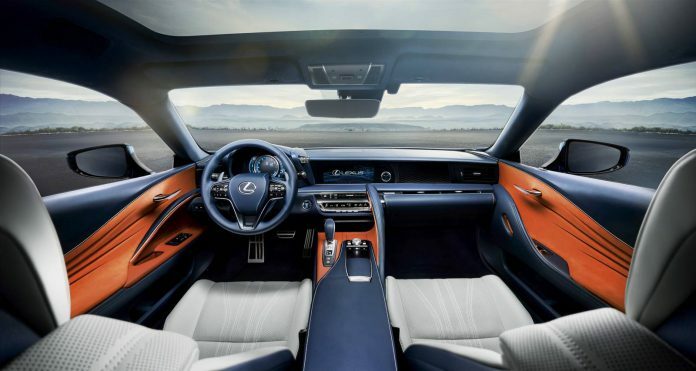 Check out the gallery below for a full look at Lexus’ new flagship coupe – now in hybrid form!